If you ask me, Eureka Springs is a walking town. Walking the winding streets of Eureka is exciting and by far the best way to get to know this eccentric little town. Many of the streets are still bordered with limestone sidewalks dating back to early Eureka when the natural springs were the main attraction. 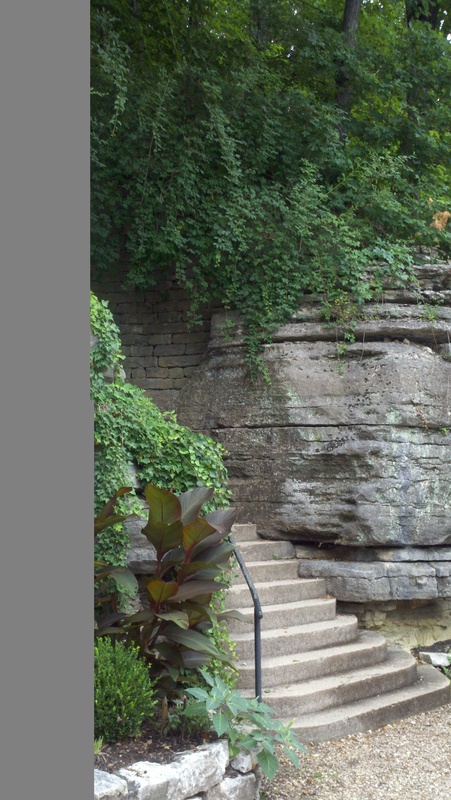 Today, a walk around Eureka Springs will uncover hidden stairs (some stairs are all that is left of an old boarding house or business from the early 1900’s while others are shortcuts). If you are familiar with Milton Bradley’s game of Chutes and Ladders, that will provide you with a concept for getting around in Eureka Springs. Learn more about the springs. Get a map of Eureka’s Springs.If walking is a challenge then you will want to take the Trolley. The Eureka Springs Transit System is the easiest way to ride around Eureka. Fixed routes take you practically everywhere you will want to go. Main routes include the Historic Loop (Red Route), the East Side (Blue Route), and North Main and along Hwy 62 (Purple Route). Some highlights along the way include: the Crescent Hotel and along Historic 62 which is lined with beautifully restored Victorian homes-some of them B&B’s (Red Route); the Passion Play and Christ of the Ozarks and Pine Mountain Village (Blue Route); Thorncrown Chapel and Razorback Lookout Tower (Purple Route). See other stops along the Red Route, Blue Route, & Purple Route. Take a virtual trolley tour. Even if walking isn’t normally a challenge for you, be aware that some of the hills in Eureka can be downright treacherous… a challenge even for a seasoned hiker. An example in point is Mountain Street… no one exaggerated when they named it. While a coveted area of town, some are discouraged to explore the historic downtown area due to the parking situation. Most parking is metered, reserved, or pay parking only and even with that, finding a space can be challenging to impossible depending upon the date and time. If you happen to be staying in the 1886 Crescent Hotel or the 1905 Basin Park Hotel, you will be able to park in secured parking (Basin Park offers Valet Parking) and you only need to call for a shuttle to get where you want to go. While Eureka, if you would like to hear a bit of history while you are riding around, there are several options. Eureka Van Tours offers guided tours and tickets can be obtained on line at Eureka Springs’ most trusted online ticketing agency, ReserveEureka.com. 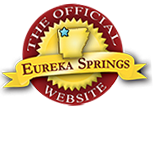 Learn more about Eureka Springs at the Official Website for the Greater Eureka Springs Region….EurekaSprings.com. Stairs that lead above Sweet Spring in Eureka Springs. This entry was posted on July 13, 2011 by estcblog in Basin Park Hotel, Crescent Hotel, Fun Downtown, Things to Do and tagged America's Most Haunted Hotel, historic downtown, natural springs, Passion Play, transit system.